SketchUp is simple yet powerful software full of special and useful extensions and TrueBend from Thom is another one that allows users to bend geometry within a single click. This extension can be found in SketchUp’s Extension Warehouse and it bends instances for a given degree, saving the original length of the reference segment and in recent this reference segment is the bottom front of the boundingbox. As this works at the bottom front bounding box edge so it is recommended that the instance axis line up with the bend. This tool or extension is totally designed to help users for bending objects within SketchUp for a given degree or radius and it also allows users to bend an object while keeping the length of the object intact. An example will definitely make this matter clear: suppose a user wants to bend a shape which is 60 inches long along a 180° bend then he/she will click and drag the red bar on the SketchUp design page for bending the object. Or the person can just click and drag to enter a value in the VCB to manually set the number of degrees in the bend; here the magic happens, this particular cool extension allows bending object sup to 360° where other extensions such as radial bend in FredoScale, only really allow users to go up to 180°. Moreover that, users can also adjust the number of segments created by typing an “s” behind any entered value and it is useful for things like spiral staircases or many other things where users need to bend as per on a set number of segments. Besides that, users can also adjust their created segments which has become softened or smoothed or may an unhidden geometry is created. The above is the little explanations about the functions of this tool and here is the explanation of that tool applying on geometry by Aaron. According to his work TrueBend selects and groups certain geometry, there is only one icon of TrueBend and clicking on it appears some broken elements on the lower part of the geometry and a handle in the middle. By clicking and moving it the whole shape will get bended to the specified angle; right click on the object will give some options to fix the angle. His extension is just so perfect to use that while bending and working with; it holds on the length and bends exactly the same degree or edge as the users want in their model. Some geometry can be bended along the front and some are along back; all this can be happened just with one tool and one handle, it’s so much easier to do. Curic Sun is the newest sketchup extension that is available in extension warehouse. 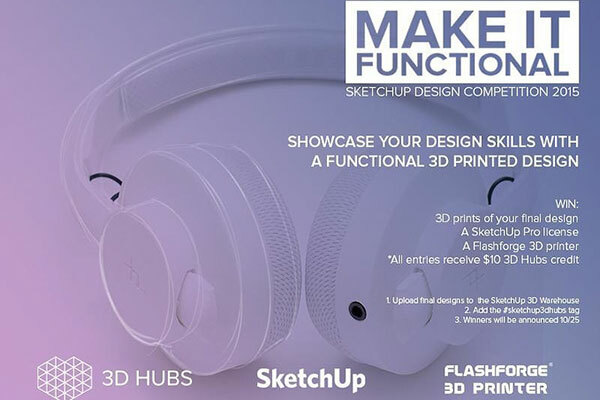 It is compatible with SketchUp 2017, SketchUp 2018. The plugin is suitable for different industries like Architecture, Construction, Education, Engineering, Film & Stage, Gaming, Interior Design, Landscape Architecture, Urban Planning, Other. The plugin is ideal for architectural projects. It has similarity with ecotect in sketchup. The plugin is used to generate solar chart. This is an exclusive online sketchup course you will be experienced with SketchUp by gathering good knowledge on the drawing, design, and rendering tools available in 2018 version of this powerful software. George Maestri, a renowned animation industry professional having broad experience as a writer, director and producer, will conduct the course and provide training on navigating the interface, managing objects, drawing in 2D and 3D space, leveraging organizational tools, and dealing with materials and textures on both Windows and Mac platforms. Besides, gather knowledge on how to perform with recyclable components along with third-party objects from the 3D Warehouse and employ simple styles and animation to transform your 3D projects more polished and presentable. In this interesting session of learning (DIY) we are going to provide a detailed theoretical and practical demonstration on how to build a folding vertical drawer. This video tutorial is brought to you by the channel named I Build It. The contributor of this channel especially in this video has nicely demonstrated about the woodworking sections step by step with no steps skipped. For those sketchup users who are associated with woodworking projects; this video will be very beneficial to them for sure. The tutor of this video has used Sketchup version 8 and normally used more custom shortcut keys during the drawing (like “G” to make the selection a group and so forth). This exclusive sketchup video is presented by the youtuber The Sketchup Essentials. By watching this exclusive video one can learn how to use fast style badges inside sketchup to run your model more speedily. Some styles contain unique features like sketchy edges, extensions to lines, etc but these can reduce speed of your model significantly. It happens as the bigger models include numerous lines and faces. While choosing a style in SketchUp, the styles section is applied in your tray. When you explore the various style options, you will find that some of the styles contain a little green stop watch in the corner. The stop watch notifies the SketchUp users that these style apply less processing power, and therefore runs speedily. If it is required to alter the styles and save them, SketchUp will auto detect if the produced new style requires a fast style badge. If you’re dealing with a model and it is assumed that everything is dragging a bit, ensure to apply a style that contains a fast style badge. 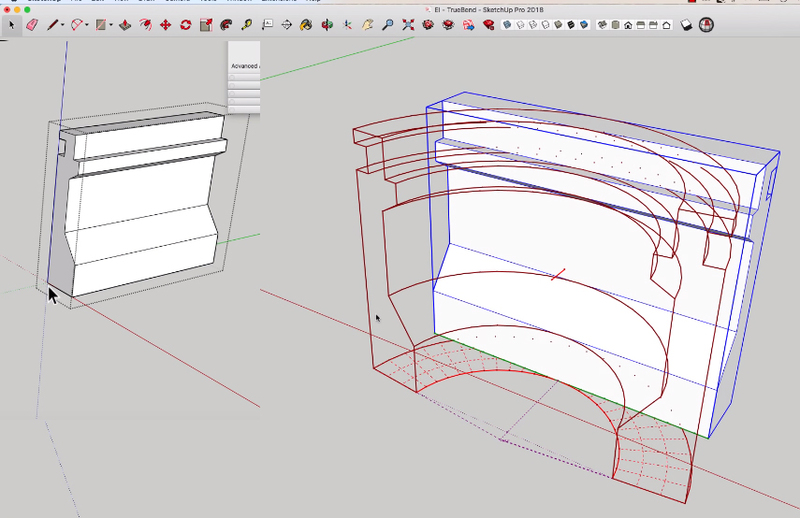 Whaat develops Artisan Organic Toolset for sketchup. These toolset include powerful subdivision, sculpting, and soft selection tools which are specifically designed for artists, designers and landscape architects. Artisan Organic Toolset is compatible with SketchUp 2016, SketchUp 2017. Artisan can optimize the mesh creation process by minimizing the number of polygons in a mesh with a specified percentage. One can access a free 15-days trial version for generating organic free-form models in sketchup. DutchSims4Master presents a useful video tutorial for sketchup users that focuses on how to insert lights to any sketchup model with the help of IRender nXt. This sketchup tutorial is very useful for the architects. IRender nXt is a powerful sketchup rendering plugin that can be used to make stunning presentation with high resolution images within sketchup. IRender nXt is completely incorporated with Sketch Up materials, lighting and components for managing any interior, exterior, daytime or night-time scenes efficiently. With IRender nXt, the sketchup users will be able to transform their sketchup designs into nice looking rendered images instantly and efficiently. The users can easily include interior and exterior lighting, control shadows, reflections and transparency in their scenes. The most updated version is IRender nXt 6.0. Download a 30-days free trial version. Sefaira is an energy and daylighting analysis extension for sketchup that facilitates the architects and designers to take decisions resembling form, orientation, and facade design by obtaining real-time feedback in SketchUp. The sketchup team had attended a webinar alias Smart Modeling for Building Performance in previous month which was based on how to apply sketchup with the Sefaira extension. Given below a recorded version of the webinar which highlighted the smart modeling tricks for performance based design in SketchUp and Sefaira as well as some sketchup methods for streamlining the modeling process at initial phase of design. There also exists a series of resources and question/answer sessions which were the part of the webinar. We also put together a list of resources and answers to questions that were presented during the webinar. The users can access them here.